The New Year will bring a major bonanza for central government employees with the Modi government yesterday deciding to hike pension benefits for all those who joined the services on or after January 1, 2004. In other words, those who have been in service for 14 years at least stand to reap huge benefits. And no one is missing the timing of the move given the upcoming general elections. 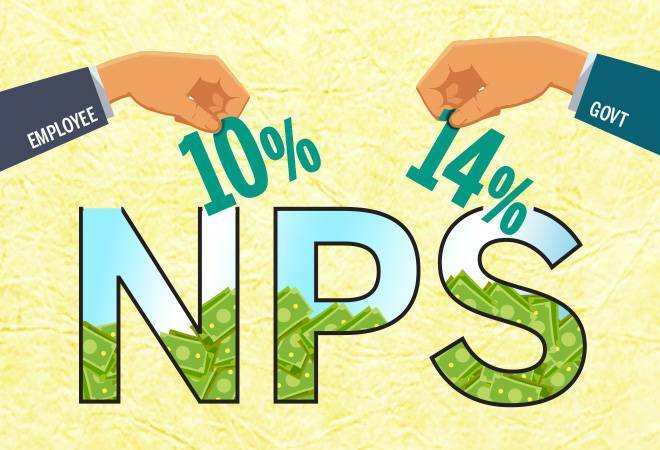 Top sources in the government told India Today that under the revamped National Pension Scheme (NPS), the government will increase its contribution to employee pension to 14 per cent of basic salary, from 10 per cent currently. The Cabinet, headed by Prime Minister Narendra Modi, on Thursday also approved tax incentives under 80C of the Income Tax Act for employees' contribution to the extent of 10 per cent. Under the 2004 scheme, employees' contribution could not be used for tax exemptions. The Centre has reportedly withheld making an announcement on this development keeping in mind the Election Commission of India's Model Code of Conduct since assembly elections are underway in some states. Rajasthan and Telengana go to polls today. At present, employees contribute 10 per cent of their basic salary to the NPS, with the central government contributing a matching amount. Although the revamped scheme keeps the employees' contribution intact, the increased government contribution will significantly raise the corpus built by their retirement at 60 years. The report added that one more significant change has been introduced in the NPS - applying to what employees do with the corpus at the time of retirement. Current rules prevent an employee from withdrawing more than 40 per cent of the accumulated fund. The remaining 60 per cent is converted to annuity, which pays for the employee's monthly pension. But under the revamped scheme, employees will be able to commute 60 per cent of the fund accumulated at the time of retirement while the remaining 40 per cent will be converted to annuity. "This will bring more cash in the hands of the retired employee for him to make an investment in a home or other needs like a child's marriage etc," a senior bureaucrat said. As per the Cabinet decision, if an employee decides not to commute any portion of the accumulated fund in NPS at the time of retirement and transfers 100 per cent to annuity scheme, then his pension would be more than 50 per cent of his last drawn pay, sources told PTI. Furthermore, central government employees will soon enjoy the option to invest in either fixed income instruments or equities. Current rules allow only 15 per cent investment in equity but under the new rules the pension funds can be invested in other options as well with no cap. This formula for changes in the NPS was worked out by the Finance Ministry based on the recommendation of a government-appointed committee. While the government is yet to decide on the date of notification of the new scheme, sources said such changes usually come into effect from the beginning of a financing year, meaning April 1, 2019. Besides, the key benefits will require changes in the finance bill and that will take some time.